Students who are newly graduated from schools and universities in New Hampshire and who are intent on continuing their studies in graduate schools can face additional obstacles in their future if they have a criminal conviction on their record. Even if this blemish was not serious, and even if it happened years ago, it can impact your ability to gain admission into the graduate program of your dreams. Even if you do get in, a criminal background can prevent you from getting the financial aid that you need. These are just one more example of the collateral consequences of a criminal conviction. Contrary to popular belief, if you get convicted of a crime, the penalties that you will face go beyond just the fines, jail time, and probation that the state will put you through. Once those are all finished, there are still the informal penalties and the social stigmas that individual people and companies will impose on you. These range from housing discrimination to pointed questions on job applications that seem to be meant to screen out applicants with a criminal background. For students who are intent on going to grad school, though, the most pertinent collateral consequence is a past conviction’s impact on admissions and financial aid. At the outset, interested grad students will find that they frequently have to disclose their past conviction on the application. In some cases, a past criminal conviction can actually help your chances of admission. If you are applying for a program in social work or other field in the social justice world and your conviction was related to your role in social disobedience or protesting, schools can see it as a sign of your character. Law schools have also been known to look past a prior conviction in some cases as well. However, for the vast majority of applicants—especially those with a serious prior conviction or a felony—the blemish on their record can lower their chances of gaining admission to choice programs. 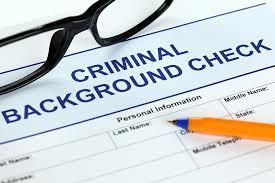 In addition to the admissions process, a criminal background can impact your ability to get financial aid as well. For example, Federal Pell Grants are often unavailable to anyone who has been convicted of a sexual offense. Meanwhile, a past drug offense can severely limit your financial aid options and eligibility. This is true if you are convicted while receiving federal aid, as well: your aid package might get suspended, depending on the nature of the offense. The criminal defense attorneys at the Manchester law office of Tenn And Tenn, P.A. represent people who have been charged with crimes and who need continuing legal help to overcome the collateral consequences of convictions that have happened, in the past. If you need help or advice on how to prevent a prior conviction from impacting your journey to graduate school, call us at (888) 511-1010 or contact us online.